Many people ask, “Why do non-profits give to United Way?” The answer is in our name. The non-profits who give to United Way know that when our communities are united we can build a brighter future. Volunteers of America is one of those shining non-profits that not only gives, but gives with gusto. It surprises and inspires so many people when they hear that Volunteers of America is among the top 5 companies that give year after year. Collaboration between United Way and Volunteers of America dates back to the early 1950s when United Way was called The Community Chest. 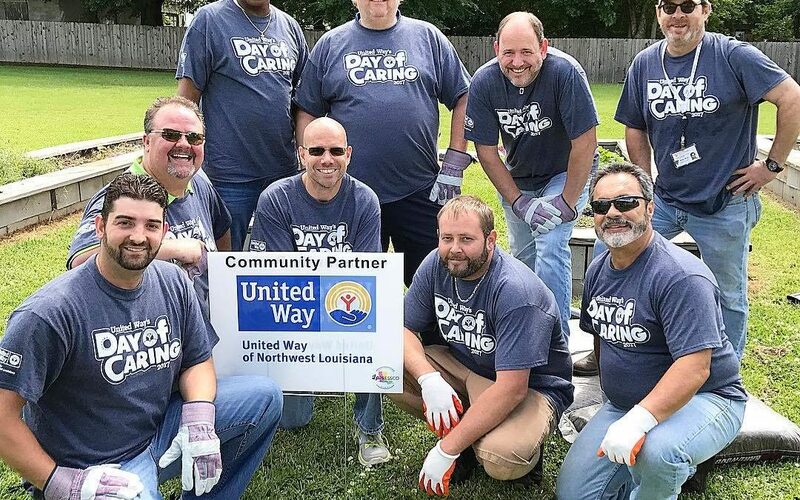 In recent years Volunteers of America (houses/locations) have been project sites for United Way’s Day of Caring. Earlier this year, a volunteer group from Glazer Beer & Beverage spent the morning cleaning out garden beds at Greenwood Lodge, our home for people with disabilities. The team from Glazer bonded over working together outside of the office and VOA residents are now enjoying delicious vegetables thanks to this wonderful partnership. The employees of Volunteers of America appreciate the focus on education but they recognize the value of serving other parts of our community that need support as well. In addition to our collaborative efforts, Volunteers of America appreciates that United Way supports programs that are doing the most good in our community in their area of concentration.